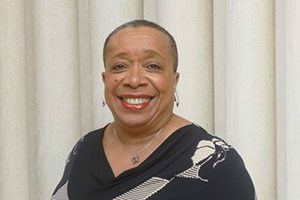 Vice Chancellor Ian A. Waitz recently announced that Blanche Staton, Senior Associate Dean in the Office of Graduate Education, is the 2018 recipient of the Collier Medal. Blanche is the fifth recipient of this prestigious award. Along with the MIT Excellence Awards, the Collier Medal is among the highest honors given to MIT staff to honor the memory of Officer Sean Collier, who was shot and killed in 2013 while protecting and serving MIT. The medal is awarded each year to an individual or group that demonstrates characteristics he modeled, including service to the community, going above and beyond professional duties, demonstrating kindness, and building bridges across MIT. Over her nearly 20 years in Graduate Education, Blanche has consistently shown how deeply she cares about all members of the community—students, staff, faculty, and families alike. Her nominators were inspired by her tireless support, leadership, mentorship, and personal commitment to the academic success of students and professional success of her colleagues. She is known as a relationship and bridge builder, connecting people to each other, to important services, and ensuring no one feels alone. Blanche will be formally recognized at the 2018 MIT Excellence Awards and Collier Medal ceremony on Tuesday, March 13, at 3 pm in Kresge Auditorium. The entire MIT community is welcome to attend.